We asked Karen Woods, product manager at Avalon Waterways, to tell us what to expect from a cruise on board the Avalon Imagery. What is special about the Avalon Imagery? The Avalon Imagery launched in 2007. 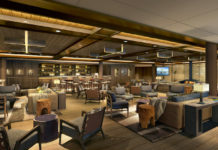 The Imagery is special as it has superb décor throughout, from the lounges and restaurant to the luxurious 172sqft staterooms, it has panoramic windows throughout the public areas so the passing views can be taken in wherever passengers may be on the ship. 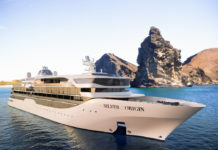 The Imagery is one of Avalon’s larger ships at 443 ft long with 81 staterooms. There are four 258sqft junior suites onboard the Avalon Imagery which is double the amount found on some of the other Avalon ships. Onboard for passengers convenience is a hairdressers, fitness centre, library and internet centre along with two lounges, a bar and restaurant. All staterooms on the Imagery have super-combed cotton linens and European-style duvets, with a choice of firm or soft pillows. All staterooms boast hotel style beds which can be separated into twins at passengers request and a spacious 3 door wardrobe with shelves for ample storage space. 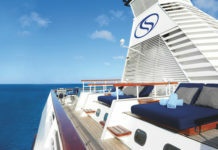 85% of the staterooms have French balconies so the passing scenery can be absorbed fully from passenger’s rooms. Fresh flowers will greet passenger in their stateroom when they first arrive. Where does the Avalon Imagery visit? The most popular destinations for the Imagery is the Amsterdam to Budapest route with places such as Nuremberg, Vienna and Bratislava on the itinerary. Gratuities are not included in the price of the cruise and are entirely discretionary. If it is a wish to reward good service we recommend 3 euro per passenger per day for the cruise director and 12 euro passenger per day for the crew, which will be divided amongst all of the ships personnel. Gratuities envelopes will be left in staterooms the day before the cruise ends, and a designated box for envelopes will be in the reception area when passengers are leaving the ship. It is also customary to acknowledge good performance by a local guide with a tip of 1 euro per tour. What entertainment is on board the Avalon Imagery? There is Wi-Fi available onboard the Avalon Imagery or access to computers for 5 Euros per hour in reception so email can be used to keep in contact with family and friends. There is also a direct dial telephone in every stateroom the cost of any ship to shore calls will be added to passengers account. Is Internet access available from the Avalon Imagery? Yes as explained above there is Wi-Fi access available onboard the Avalon Imagery and also two computers with internet access in reception. If whilst onboard a passenger has a special occasional such as a birthday or anniversary and we are made aware of it there will be wine and chocolates in the stateroom on the passenger’s arrival. Also if the Avalon Imagery personnel are made aware then they will do what they can to make it as special as possible. Which ports does the Avalon Imagery leave from? The Avalon Imagery leaves from Amsterdam, Vienna, and Budapest . How do I get to the Avalon Imagery? The Avalon Imagery has been built to the highest safety standards, equipped with the latest technology and is crewed by a reliable and well-trained team. In the event of an emergency life vests are stored in containers on the sky deck and will be handed out by the crew. There is a document fixed on the inside of staterooms doors of full safety instructions that passengers should read when arriving on their cruise. A safety briefing will also be given once onboard the Avalon Imagery. Lobby and reception desk are staffed 24 hours. Boarding cards are given to passengers when leaving the ship, and handed back in when returning. Crew check all boarding cards are returned before sailing to next destination. The doors are locked and accessible by codes in the evening. Avalon staff will be the first in European river cruise industry to receive training on 18 different points of security and safety. Is the water on the Avalon Imagery safe to drink? Wheelchair users should be warned that the cabin doors and shower entrances are not wide enough to fit a wheelchair through. For safety reasons passengers in wheelchairs cannot be carried on ramps in ports where the Avalon Imagery is at anchor. There is an elevator onboard but this does not allow access to the sky deck. The showers do have handrails for passengers to support themselves on. On some rare occasions the itinerary may have to change due to instances out of Avalon’s control such as extreme weather or operational issues. Avalon will do their upmost to find the best solution. In the unlikely event of any river cruises not operating for whatever reason, this section will be undertaken by coach.